Amazon is conducting a Sennheiser Week sale in which you have a chance of winning a brand new iPhone X. Here's how you can avail the discount. Are you looking to buy a new headphone? If yes then this will be a good news for you. 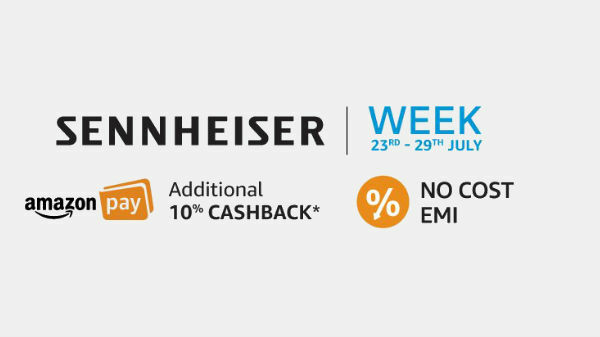 Amazon India has kicked off Sennheiser Week sale, with this sale customers will receive attractive discounts on headphones and even they can avail buy one get one offer. Amazon is offering Sennheiser HD 206 headphones worth of Rs 1,300 for free when you buy a Sennheiser wireless headphones during the Sennheiser Week sale. Amazon has kicked off the week-long sale on Monday. The e-commerce giant has also announced iPhone X as a bumper prize for one customer, who is going to spend highest during the sale. The Sennheiser CX 275 S In-Ear Universal Mobile Headphone (with mic) is available at Rs. 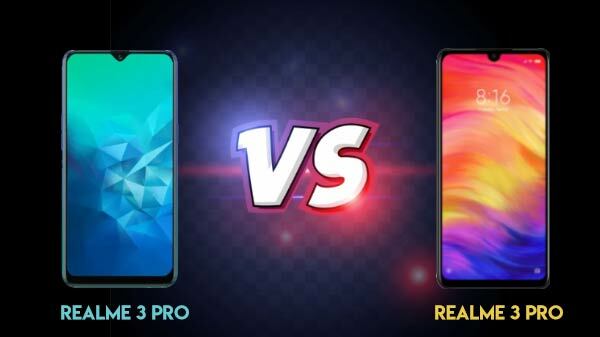 1,599 the regular price of the device is Rs. 2,490. The headphone will be available with a two-year international warranty. The Sennheiser CX 180 Street II In-Ear Headphone (without mic) is available at a discounted price of Rs 729 down where the regular retail price of the headphone is Rs. 990. Sennheiser PC 8 Over-Ear USB VOIP Headphone (with mic) Rs. 2,099 Rs. 2,990. 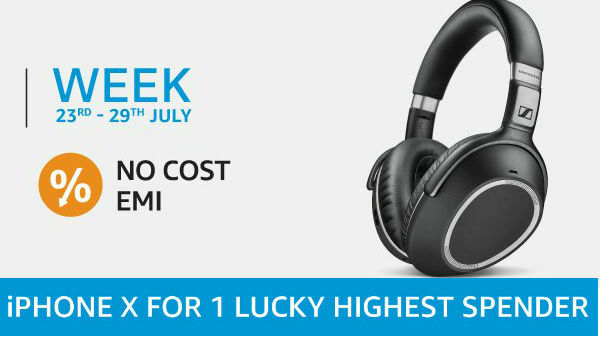 The buy one gets one offer is available on only three models which include the Sennheiser HD 4.40-BT Bluetooth Headphones. The device comes with a price tag of Rs 7,490. It comes with a Bluetooth 4.0 and aptX technology. The company claims that the headphone is capable of delivering 25 hours of battery life in a single charge. Second is the Sennheiser Momentum in-Ear Wireless M2 IEBT which is available with the price tag of Rs. 14,990. The device comes with Bluetooth 4. 1 along with AAC codec support and apt-x compatibility. Sennheiser claims that the headphone is capable of delivering 10 hours of battery life in a single charge. In addition, it comes with two years of international warranty. The last model is Sennheiser CX 6.0BT 507447 in Ear Wireless Earphones. Currently, the wireless earphones are available on Amazon India at a discounted price of Rs. 7,490. The earphones are equipped with Bluetooth 4.2 and Qualcomm apt-X support. It is capable of offering battery life of up to six hours in a single charge.